After a between-season hiatus nearly three months longer than usual, the penultimate season of Game of Thrones is finally upon us. The cultural zeitgeist was particularly infuriating this time around. Usually, I would bask in a social media explosion centered around the return of one of my all-time favorite shows. Something about the excruciatingly forced memeification made twitter virtually unusable for me when each new trailer dropped. But I digress; I’m not here to craft a gonzo diatribe on the deteriorating state of the “fandom.” What’s much more important is that the season premiere is tonight, and I am yet to deliver on my promised expectations post. George R.R. Martin himself has stated that the repetitive nature of history is a paramount theme in the Song of Ice and Fire saga. “Those who do not learn history are doomed to repeat it.” With a Targaryen conquest and a War for the Dawn drawing in, this concept will be more pertinent than ever in season 7. As I discussed in my season 7 trailer analysis, I have no doubt that the Targaryen siege of King’s Landing will occur this season. Although the outcome isn’t as clear, I’m still placing my bets on Daenerys. Cersei has been so preoccupied with vengeance that she has seemingly forgotten all about the growing threat from the east- one that is now making her way directly to her doorstep. 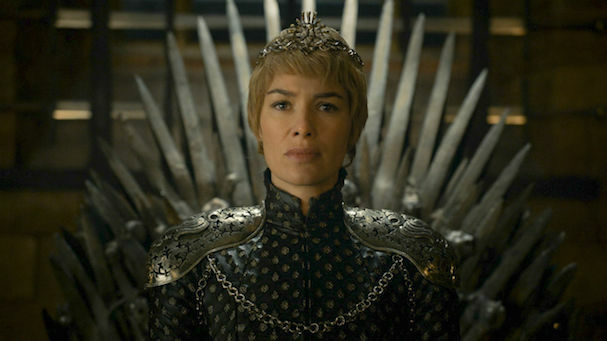 Being both a Lannister and the Queen of the Seven Kingdoms, Cersei has robust military might at her disposal. Regardless, with virtually no advisory council to keep her rage in check, I can’t see her successfully warding off such a determined opposition. None of the above is meant to say that Daenerys’ conquest will be a walk in the park. Maintaining control over Dothraki from previously warring Khalasars will prove excruciatingly difficult. Don’t forget backseat threat that is Euron Greyjoy. I’m not sure whether the show will take the dragonbinder route, but if he does indeed have the item at his disposal, Daenerys will likely lose control over her strongest asset, her dragons. Don’t get me wrong; it makes little narrative sense for Euron to sit on the Iron Throne. What it does mean, however, is that if Euron is going to go out, he’s going to take some of Daenerys’ strength with him. I wholeheartedly believe that the White Walkers now have the ability to effortlessly destroy the wall, and will do so this season. There are two possible means by which they gained this dangerous strength, both of which center around the events of S6 E5. When the Night King touched Bran during a weirwood flashback, the White Walkers immediately gained the ability to defy the protective magic of the Children of the Forest and enter the Cave of the Three-Eyed Raven. This sudden development may imply that the White Walkers can mark individuals to follow anywhere, regardless of protective magic. If this is the case, and Bran was to cross the wall, the White Walkers could simply march right through. Supposedly the last Children of the Forest were killed when the White Walkers invaded the Cave of the Three-Eyed Raven. This slaughter poses the question of whether their magic dies with them. The wall was built using substantial quantities of Children of the Forest magic. Has the wall lost all of its impregnability? Regardless of which method the writers choose, the White Walkers will make their way into the Seven Kingdoms this season. I believe the showrunners will save the bulk of War for the Dawn for season 8, but that shouldn’t discredit the amount of imperative setup we will see within the next seven weeks. Included in this buildup will be Melisandre rallying the Brotherhood Without Banners to prepare for the war. This sub-arc would be the absolute last chance for the writers to introduce Lady Stoneheart into the show, but I doubt they’d take this narrative risk so late in the game. Sam’s arrival at the Citadel was an essential plot development that was tragically overshadowed in the intensity of the season 6 finale. For those unfamiliar, the Citadel serves as the physical headquarters for the Westerosi Order of Maesters. The building contains the largest library in the known world (the show likely won’t dabble in Asshai or Yi Ti). If there were ever a book written about how to defeat the White Walkers, it would be stored here. Who knows, maybe the concept of glass candles will be implemented in the show, allowing Sam to easily communicate with Jon from across the continent. I have only scratched the surface of my disturbingly large library of Song of Ice and Fire theories. The above are just the ones most pertinent to the upcoming seven episodes. Who knows, I may be completely wrong about everything, but as an arrogant elitist, I highly doubt it. In all seriousness, I genuinely hope this season manages to surprise me, and I’m really looking forward to seeing what the showrunners have cooked up.